I've posted my weight loss journey and I am so glad someone else is sharing theirs. You all know that Jami and I are friends IRL and when she told me about this post, I had trouble holding back my excitement! When i found out she wanted to use it as her guest post, I was even more excited! With all that excitement and the excitement of my trip... its amazing I have not wet myself! 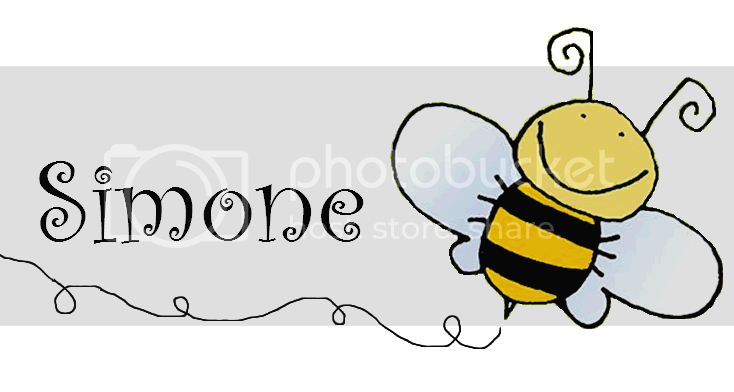 Hello Busy as a Honey Bee readers, Jami from Somewhat Domesticated here! Simone has been so great in sharing with us her weight loss journey, I thought while she's cruising around Alaska I could share with you mine. This is how I lost over 35lbs 4 years ago, and how I've kept it off. I'm going to start by stating the obvious, I am not a physician or dietitian. I'm just an average girl who woke up one day and decided to make a change. I can tell you it wasn't one thing in particular that motivated me to lose weight. 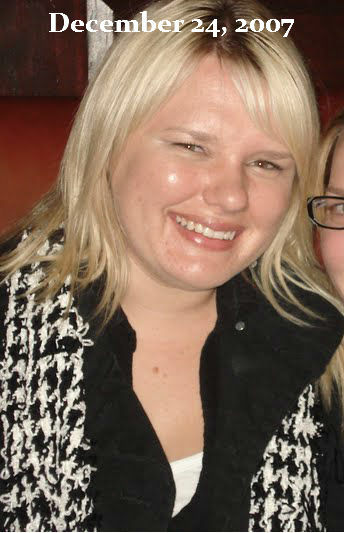 I was 26 years old, it was just after Christmas of 2007; I was looking through photos on my computer from the last couple of years and I noticed I was looking increasingly 'puffy'. Sitting there staring at those photos, it dawned on me - I was buying size 13/14 jeans and no longer the 11/12 I used to, and I was now a solid large size shirt. That realization coupled with the reality of not wanting to spend the rest of my twenties dreading being in a bathing suit motivated me to start losing weight. At 5'5" and dangerously close to 180lbs, it was time to make a change. My goal was simple, to be in the 'normal' BMI range. In the beginning I followed these rules: count ALL calories, NO fast food, NO carbs after 2pm, NO candy/sweets, NO drinking. I also started to be more active; I started taking kickboxing at the gym behind my house with my roommate & went on small hikes or walks on the weekends. Even adopting little habits like using the stairs instead of the elevator & doing lunges around my house from room to room instead of walking. After the initial 4 weeks I would allow myself a drink here or a sweet there - after all this was a lifestyle change, not a band-aid. By March I had lost 36lbs and was down to a size 8/9. In the 4 years since I've lost the weight I have stayed within the 142-147lbs range. I do my best to eat as healthy as I can during the week and tend to ease up on the weekends. I've found that a diet that's high in protein, fiber, and healthy fats (http://www.helpguide.org/life/healthy_diet_fats.htm) works best for me. I try to eat 5 times a day (breakfast, snack, lunch, snack, dinner), but sometimes I snack only once if I still feel full from breakfast or had a bigger lunch. I also try to eliminate carbs after lunch if I can help it, but if I want carbs I'll eat carbs. I keep a 32oz tumbler at my desk at work and I drink 2 1/2-3 of those a day. Plus, more water when I get home, I only drink water at home. I also drink my coffee black, with the exception of a trip to Starbucks 1 or 2 times a week where I get an iced Caffè Americano (only 15 cal for 16oz!) w/ a splash of skim milk and 1 Splenda. As far as alcohol goes, I only drink on the weekends and try my best to stick with a couple glasses of red wine or vodka & soda water w/ a lime. But if you know me you know I love beer, so staying away from beer is a hard one for me! I'll be honest, I absolutely hate working out. For me if I do cardio 2-4 times a week and eat like I'm supposed to, I'm good. Every once in a while I like to mix it up and do a Zumba or Turbo Kickboxing class, but it's all the same to me and I do it because I need to. A lesson I learned from this: not everything you put in your mouth has to be delicious and rich. Sometimes you have to eat things you don't necessarily care for, but they're good for you. I remind myself of this every day. Also, if you fall, get back up, every day is a clean slate. Could I stand to lose a few more pounds now? Sure. I've always thought 135 would be my magic number, but you know what, I'm healthy, I'm happy, and my husband loves me just the way I am. Don't forget to stop over at Somewhat Domesticated and follow her! Random Thursdays: Fun Summer Reads! Hey, High Five for the Weekend!